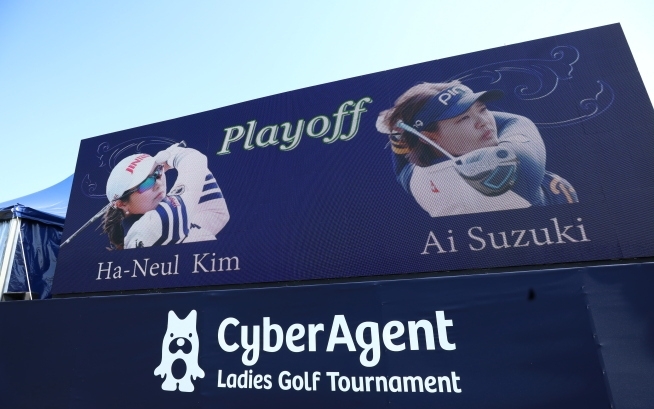 Arguably the most popular Korean female golfer Ha Neul Kim claimed her fourth JLPGA title today, after coming out on top in a playoff at the Cyberagent Ladies Open. Sky, as she is known (due to the Korean translation of her name), spent the final round jumping in and out of the top of the leaderboard, but eventually managed to remain on top when it counted the most; at the 72nd hole. She eventually came out on top against local favorite Ai Suzuki, after the first playoff hole. It was a victory that was not only celebrated by Sky herself, but many of her peers were quickly to congratulate the popular golfer via social media.